Pertussis (or whooping cough) is a highly contagious respiratory disease that primarily affects children. Symptoms of pertussis can vary depending on how far the disease has progressed, but the most common symptom is a hacking cough followed by a high-pitched intake of breath that makes a “whoop” sound. Pertussis is caused by the bacteria Bordetella pertussis, which attach to the cilia (hair-like extensions in upper respiratory system) and release toxins that cause the airway to swell. Pertussis is highly contagious, and is typically passed from person to person through sneezing and coughing. Although there is a pertussis vaccine available, it eventually wears off and leaves both children and adults susceptible to the disease during an outbreak. Children under six months of age are also more susceptible to the disease because they haven’t yet received all three pertussis vaccine shots. Medical professionals can typically diagnose pertussis by observing and listening to your symptoms. In some cases, medical tests such as nose or throat cultures, blood tests, and chest x-rays are needed to confirm the diagnosis. If pertussis is confirmed, a course of antibiotics is typically prescribed for treatment. Early diagnosis and treatment of pertussis is key to minimizing the symptoms. If you suspect you or your child has come down with pertussis, visit your local FastMed Urgent Care as soon as possible for treatment. 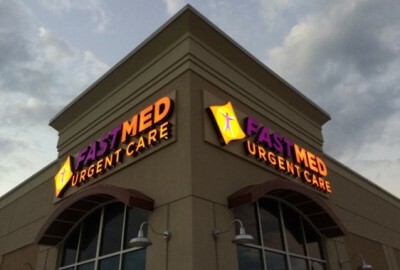 FastMed is open seven days a week, making it easy for you to be seen as soon as your symptoms strike.